Ticket validity: 2-7 Nights (Q class). Departs by Cathay Pacific Airways to Bangkok, check in airport hotel. 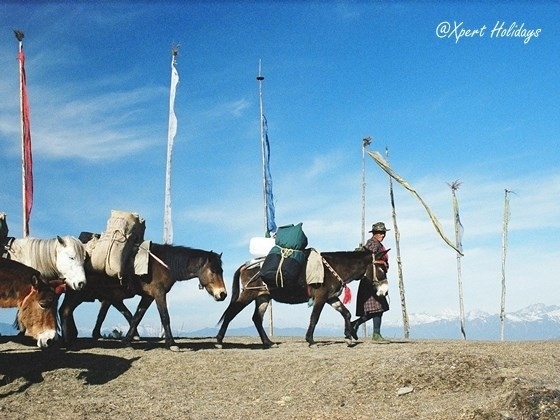 On arrival, our representative will be then transferred to COMO Uma Paro. 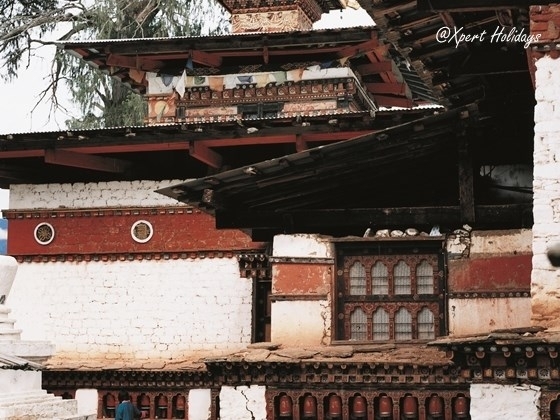 In the afternoon, visit Dungtse Lhakhang (temple) also known by the name of Chagzampa, ‘the builder of iron bridges’. 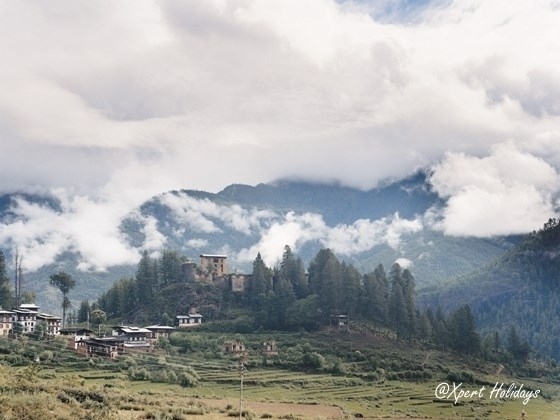 It has three floors representing hell, earth and heaven and the paintings inside are considered to be some of the best in Bhutan. Afterwards visit Kyichu Lhakhang, King Songtsen Gampo of Tibet. 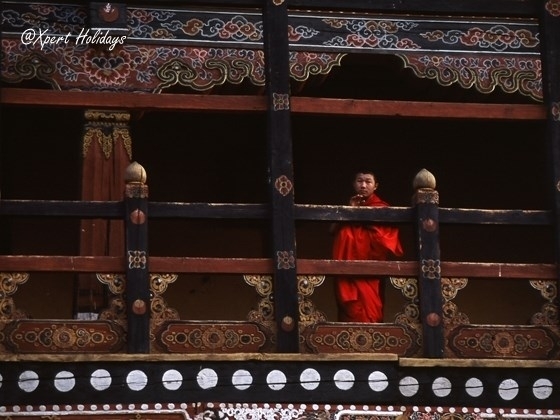 This Lhakhang contains a 5 meter-high statue of Guru Rinpoche and another of Tara who is the most sacred monasteries in Bhutan. 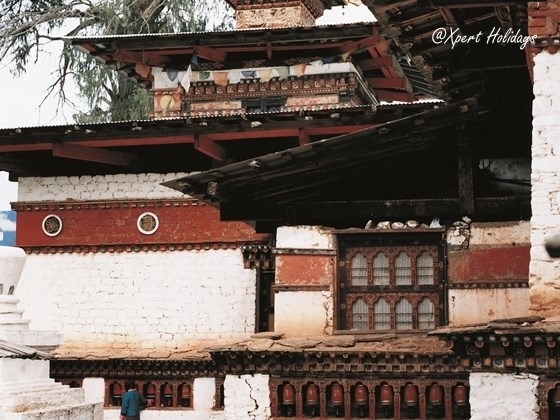 Thereafter, visit the Rinpung Dzong, also known as ‘fortress of a heap of jewels’, features beautiful architecture and ancient frescos. 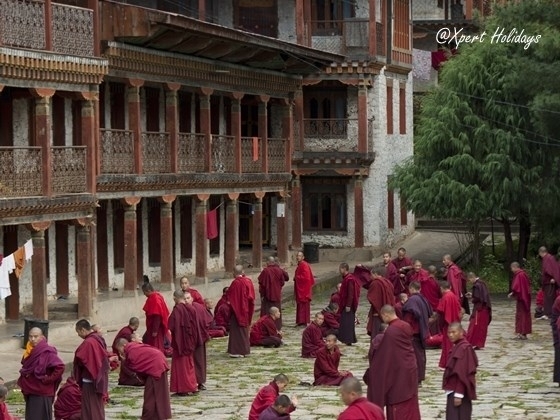 Them take a short walk from Paro Rinpung Dzong downhill towards the wooden cantilever bridge called Nyimai Zampa. 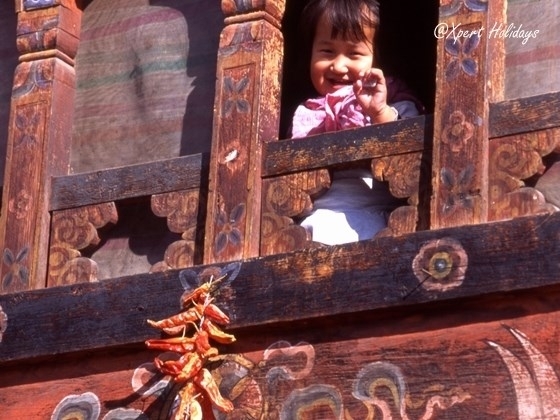 Drive about 45 minutes from Paro to Chele La pass at about 3800 metres above sea level. You can walk up the incline around 1.5 hours towards the highest point at 4500 metres for mountain view such as Mount Jumolhari and Kanchenjunga. 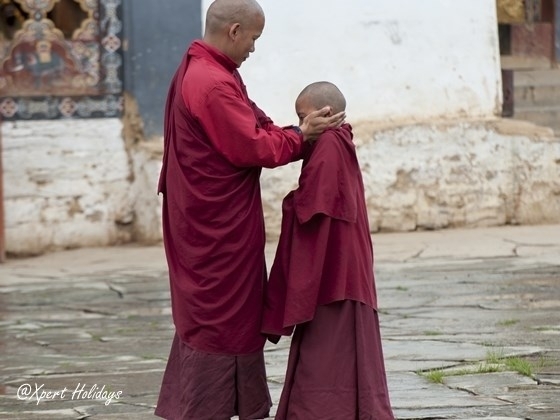 Walk down the hill through rhododendron and hemlock forest towards Kila Gompa, a nunnery inhabited and then on past to another temple 'Gorina Lhakhang' where there is a small monk residence, approx. 1.5 hours. After that, drive 30 minutes back to Paro. If time permit, you may visit a local farmhouse and join a family for a Bhutanese cuisine cooking demonstration and tasting. Dinner will be served at resort. After breakfast drive to Thimphu for approx. 1.5 hours and then check-in. 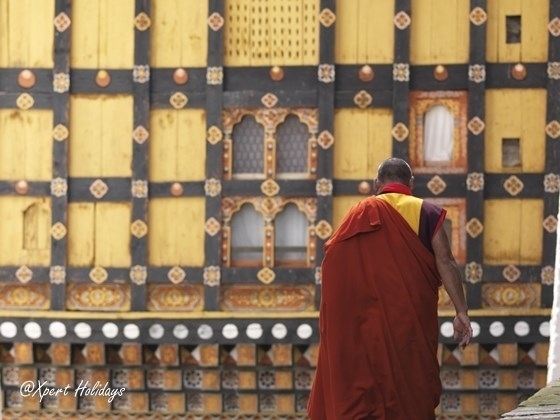 Explore Thimphu, including the Memorial Chorten, built in 1974 in memory of the Third King of Bhutan. Thereafter, visit Kuensel Phodrang, a huge statue of Buddha Dordenma which is a gigantic Shakyamuni Buddha statue. The statue houses over one hundred thousand smaller Buddha statues are made of bronze and gilded in gold. It is one of the largest Buddha statues in sitting form in the world. 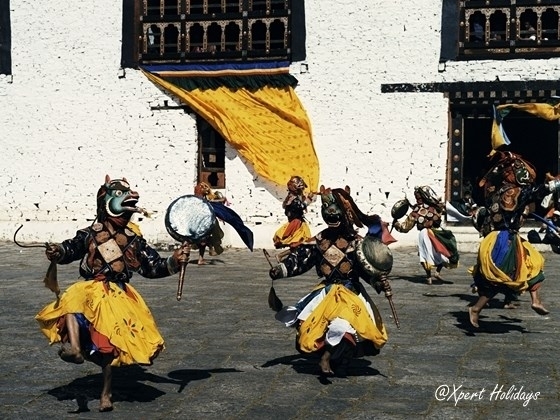 In the late afternoon, visit Tashichoe Dzong, ‘The Fortress of the Glorious Religion’. 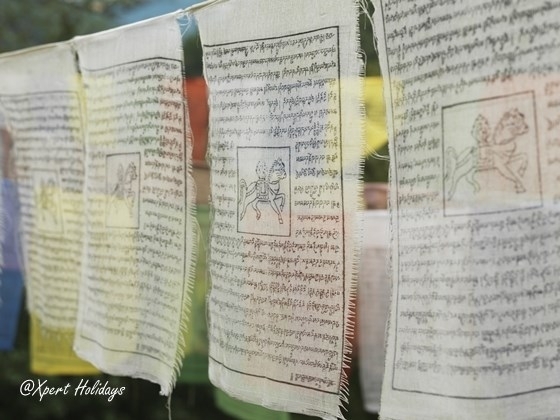 Evening is free to explore Thimphu’s numerous handicraft stores notably Authentic Bhutanese Craft Market featuring intricately woven Bhutanese textiles and exclusive handicrafts. 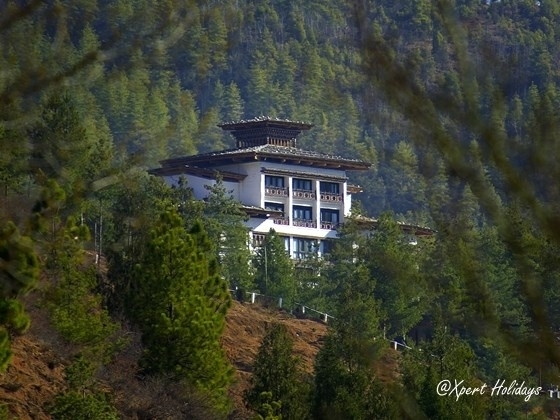 Option 1: After an early breakfast drive to Tango Monastery, located about 12 kilometers north of Thimphu. 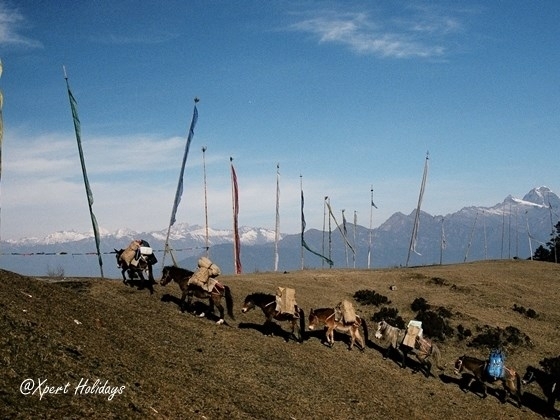 The trail to Tango Monastery is a climb of 280 meters and takes about an hour. 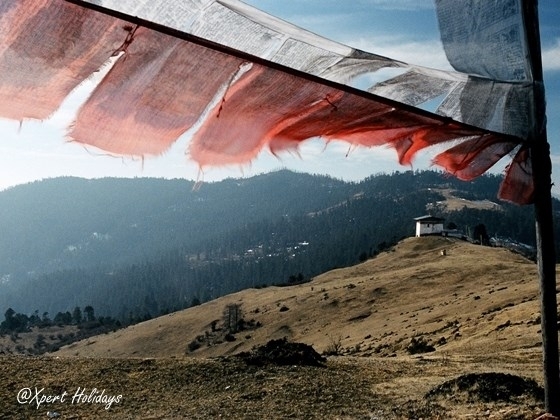 Tango Monastery was founded in the 12th century and was rebuilt in its present form in 1688 by the 4th temporal ruler of Bhutan, Gyalse Tenzin Rabgye. It is now the residence of his young 7th reincarnation. 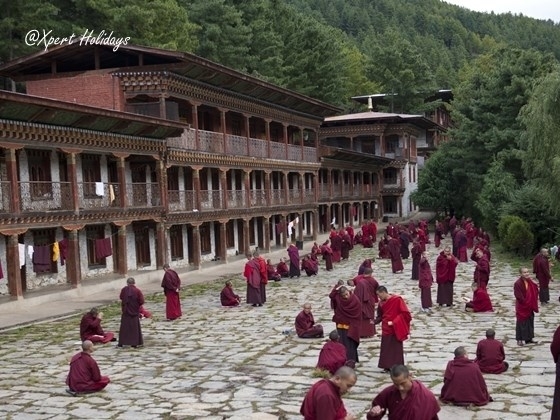 Tango Monastery is also the only Buddhist University in Bhutan. Return to Thimphu for lunch after that visit the Takin Reserve Zoo, the national animal of Bhutan. Leisure in evening. 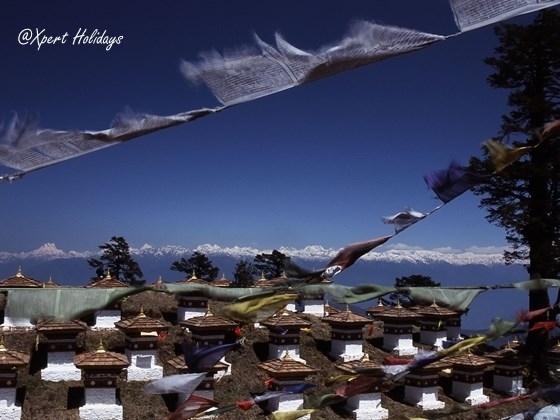 Option 2: After breakfast drive above the city of Thimphu, visit the Takin Reserve Zoo. Takin is the national animal of Bhutan by the local name as ‘Drong Gemtse’, meaning an animal with a body of a cow and head of a goat, which is believed to have been created by Buddhist Master called Lama Drukpa Kunley. 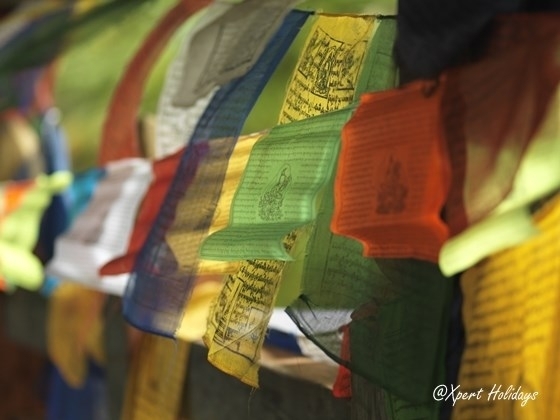 Thereafter, drive to Sangaygang where the transmission tower of the Bhutan Broadcasting Service with many fluttering prayer flags. Start the easy nature trail hike to Wangditse. After 10 minutes of gradual climbing, you will find apple orchards and a cluster of farmhouses above the trail. 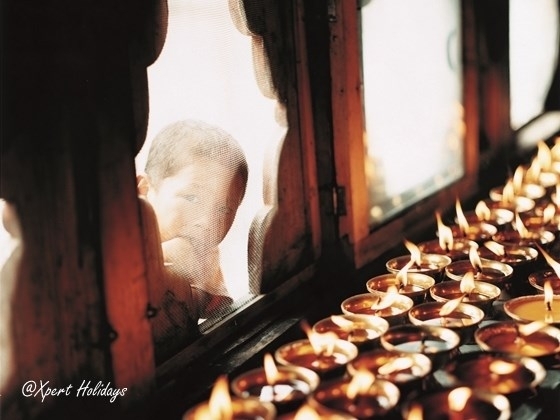 Drops down through the forest laden with oak, blue pine and rhodeodendron until arriving at the Wangditse Monastery. You will have stunning views of the Thimphu Tashichoe Dzong in the valley below, Gigantic Statue of Buddha Dordenma and Thimphu valley. Afterwards, return to Sangaygang with approx. 2 hours. Leisure in evening. 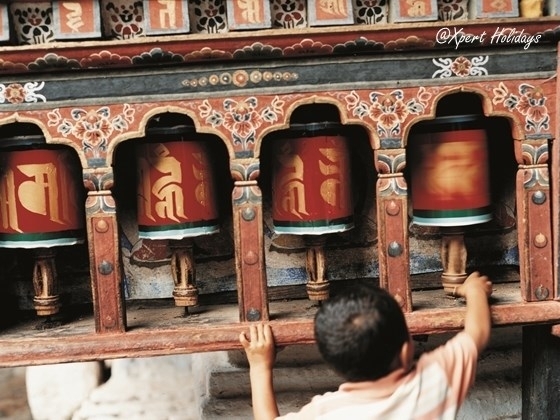 Drive to Paro to the foothill of Taktsang Monastery. It takes approx. 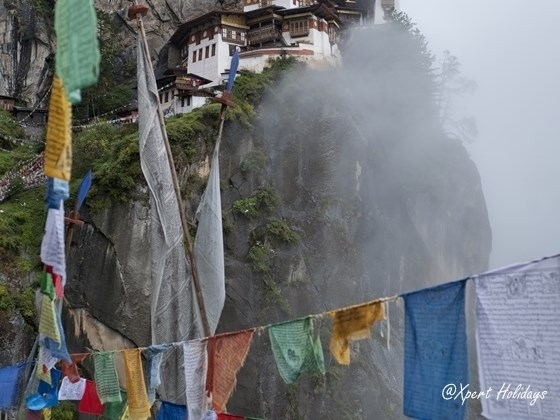 1.5 hours uphill to reach the Taktsang cafeteria overlooking the magnificent Monastery perched on the side of a cliff 900 meters above the floor of the Paro valley. 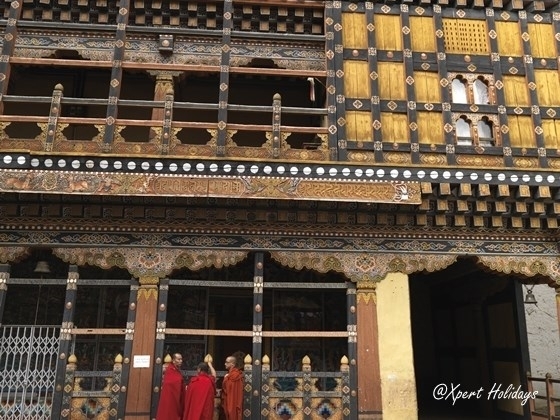 Continue on to explore Drukgyel Dzong, built in 1647 by Shabdrung Ngawang Namgyel, the great “Unifier of Bhutan”. Drukgyel Dzong was featured on the cover of the US National Geographic magazine when John Claude White published an article about Bhutan in 1914. 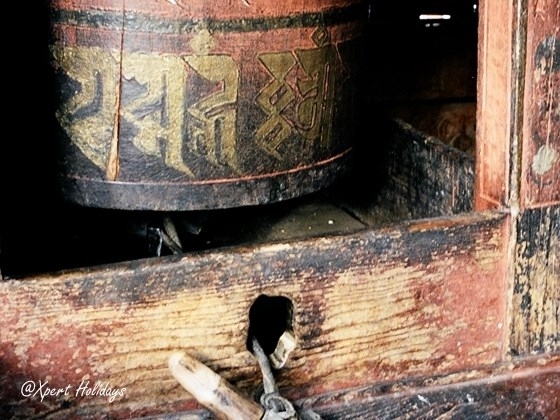 In 1951, a butter lamp fell over and started a terrible fire, which destroyed the glorious and magnificent Dzong. After breakfast, transfer to airport for flight back to Hong Kong via Bangkok. Roundtrip economy class air ticket between HK and Bangkok by Cathay Pacific Airways. 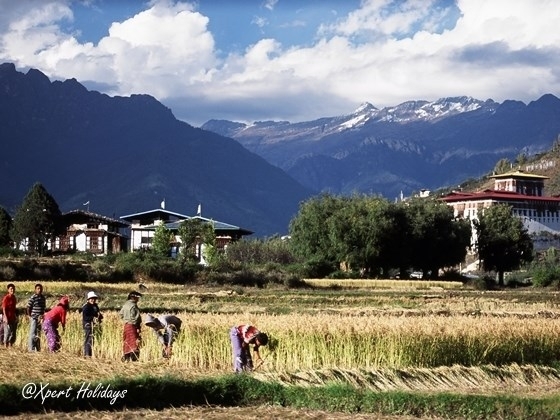 Roundtrip economy class air ticket between Bangkok and Paro by Bhutan Airlines or Druk Air. 1 night hotel accommodation in Le Méridien Suvarnabhumi, Bangkok Golf Resort & Spa. 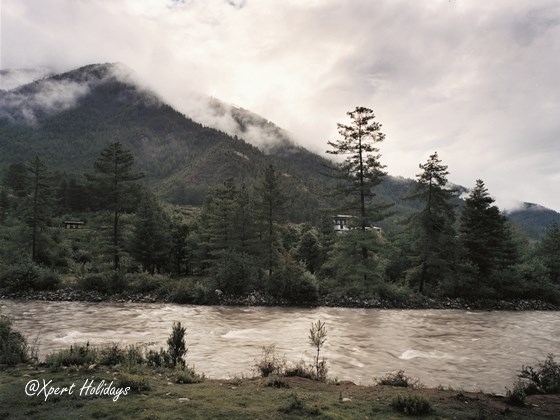 5 nights hotel accommodation listed above in Bhutan on full board basis. Round trip shuttle service to Suvarnabhumi Airport. Tours as specified in the above itinerary with english speaking guide. Bhutan Visa fee, government royalty. Entrance fees at monuments mentioned in the itinerary. 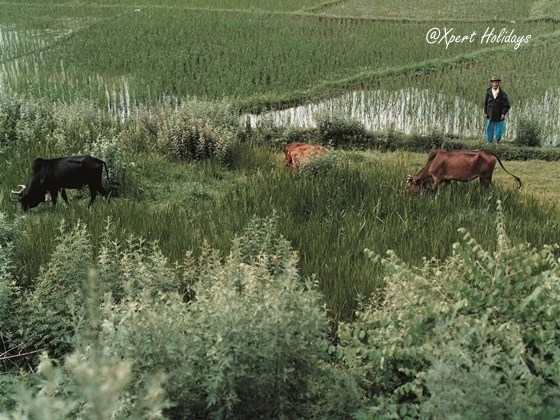 All land transportations in Bhutan. Camera/Video fees at various monuments.